It fell to Curbed to break the news of what, exactly, Quinlan-Tavros has in store for 180 Sixth Avenue. 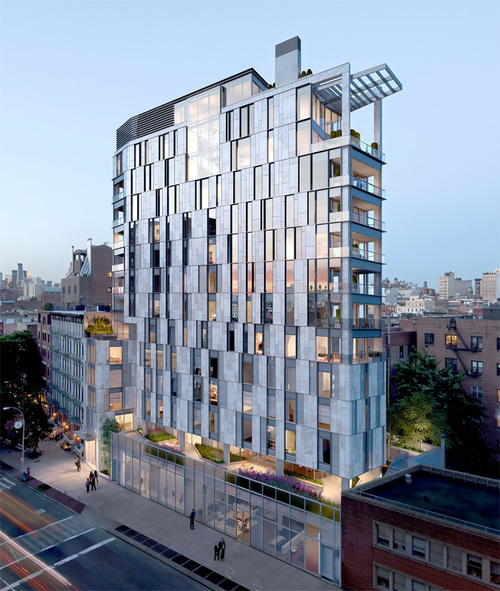 They’re going to start by changing the address to “One Vandam.” Much tonier than 180 Sixth, don’t you think? And then, this architectural monstrosity — reminiscent of the Borg spacecraft from the Star Trek series — will descend on our peaceful South Village neighborhood. Notice that the building towers over everything in sight. That’s exactly what they have in mind: building an out-of-scale, heedless-to-context nightmare that maximizes their height and square footage at the expense of everything and everyone in their way. 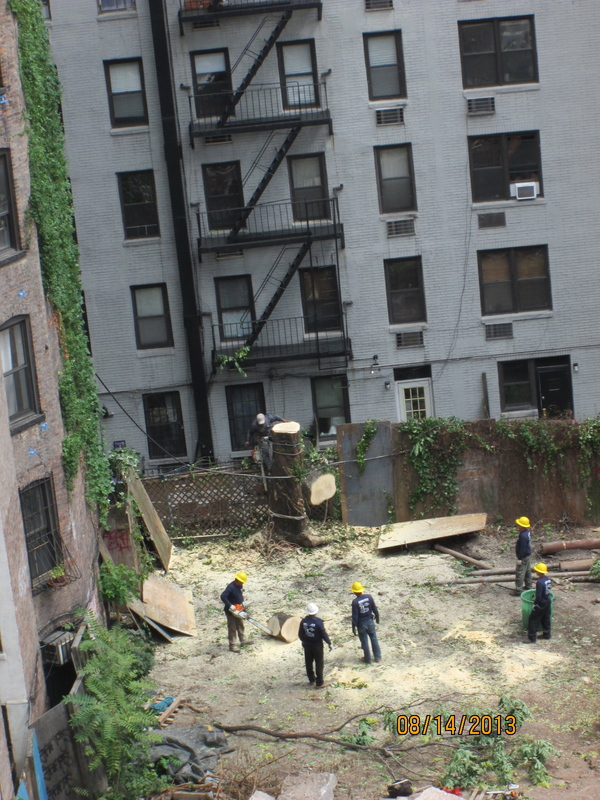 That’s why it’s so utterly irksome to so see the sign outside the construction site, where they’ve just torn down one of the oldest trees on the block. The finer print reads: “New York City has a variety of projects, both public and private, which when completed will improve the quality of life for all New Yorkers.” Really? All New Yorkers? Tell that to the neighbors who’ve recently had the trees that shade their windows chopped down, the back walls of their gardens knocked over, the air quality in their neighborhood obliterated by dust and diesel fumes, and their homes subjected to the din of demolition and construction from dawn until dusk. But the architects of record, BKSK Architects, claim that “One Vandam” will be LEED-certified — a so-called “green building” — so that makes it all okay? Not really. Not at all. The only sort of green Quinlan-Tavros is concerned about comes off of U.S. Treasury presses. We’re not talking green, we’re talking greed. This entry was posted in Uncategorized and tagged "One Vandam", 180 Sixth Avenue, environmental impact on August 27, 2013 by southvillageneighbors.